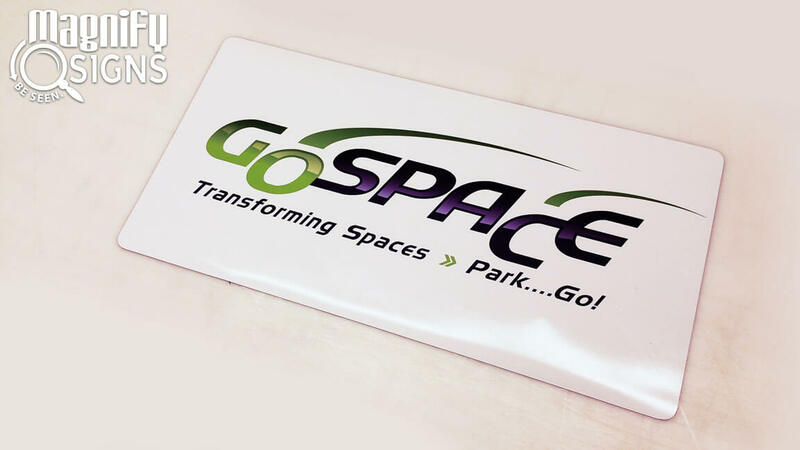 Magnets (also known as Vehicle Magnets) feature custom vinyl print graphics mounted onto the face of a magnetic substrate which can stick to other metal surfaces. Our clients come to us for vehicle magnets in lieu of applying vinyl directly to their car. Many home owner associations do not allow vehicles with company graphics on them to be parked in their neighborhood overnight, a problem the magnet sign solves. 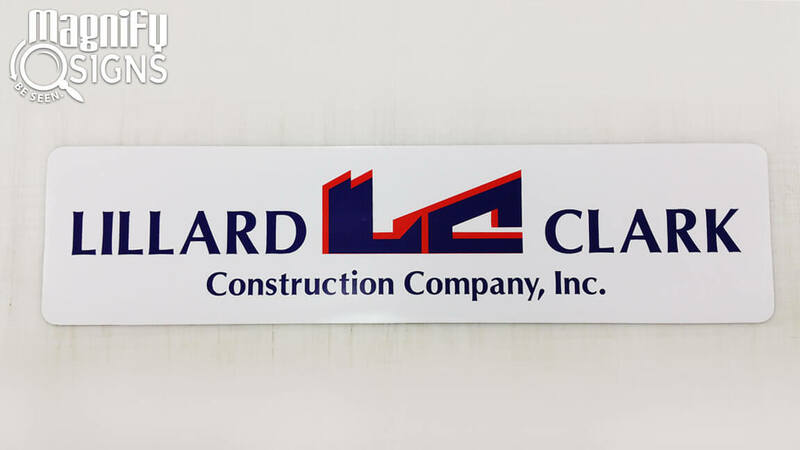 Regardless of their use, magnet signs are excellent for signs which need to be moved to different places or taken on and off the same steel surface. Your brand is your identity and we make it possible to build a stronger brand with a customized business sign. Custom magnet signs put your brand on a sign which can be applied to a multitude of surfaces. The best way to attract customers and encourage them to value your business is by displaying a custom business sign expressing your unique brand. The signs experts at Magnify Signs are your best option for getting magnets in Englewood, CO and the surrounding Denver metro area. They stick to metal surfaces. Car, filing cabinet, front desk; as long as the surface is steel, the magnet will stick to it. They can be just as easily taken off too, and be placed on another surface. Magnet signs are removeable, so they can be taken with you wherever you want to go and be placed on any metal surface nearby. They are popularly used for vehicles signage when vinyl is not. If your company vehicle graphics need to be taken on and off at will, magnet signs are the solution for you. Where vinyl is a permanent application, magnet signs can be taken on off any steel surface as the owner pleases. 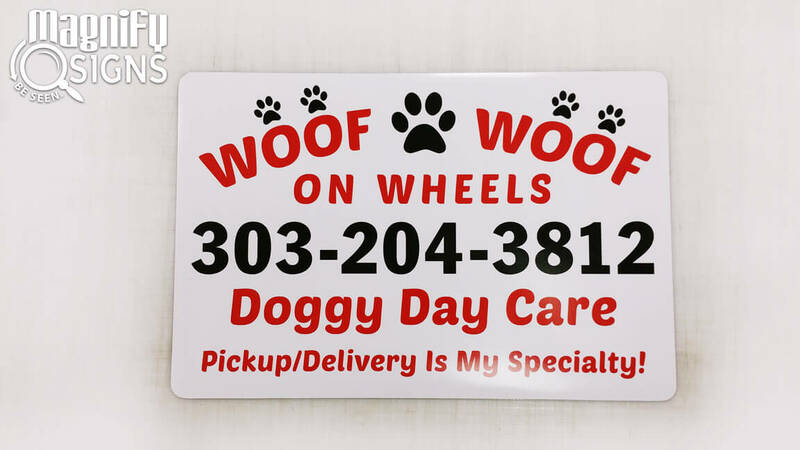 Call us today at 303-761-9592 to discuss how we can you can add to your company’s custom signs with a new magnet sign. We will work to understand your business’ needs and provide you with expert advice about your sign options. We want your signage to help your business Be Seen!